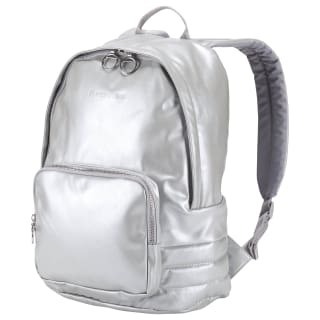 A blast from the past, this women's metallic backpack turns heads. 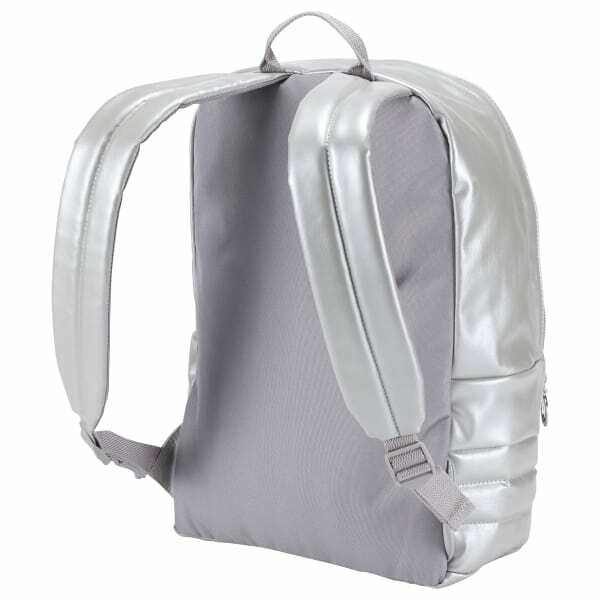 We designed this bag with a bright, shiny finish and ring zipper pulls. A large main compartment and small front pocket store your essentials. Adjust the padded straps to enjoy modern comfort with a retro look.